Our consultants have successfully implemented SAP sourcing and Ariba procure-to-pay solutions for diverse clients in a broad range of industries. Your solution promises big benefits. And we know how to align your people, processes and platform to realise those benefits. Transforming your source-to-pay function takes less time when you rely on proven methods and toolkits. Our wide-ranging, cross-industry experience in source-to-pay means we can help you avoid many of the common pitfalls. 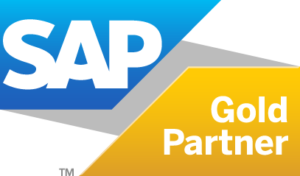 We can help you transform your processes with solutions like SAP Ariba Snap and SAP Invoice Management. Our consultants have implemented these solutions for a wide range of clients in diverse industries. Our wide-ranging, cross-industry experience in source-to-pay means we can help you avoid many of the common pitfalls. Experience the full potential of your source-to-pay software with the support of our consultancy, advisory and implementation services. Our Industry Templates include a host of pre-defined settings, workflows and options and can accelerate the implementation process. Align your people and processes to maximise efficiency and exploit the full potential of your solution. Make SAP and SAP Ariba more intuitive and familiar with our Excelerators – lightweight add-ons for popular SAP source-to-pay solutions.